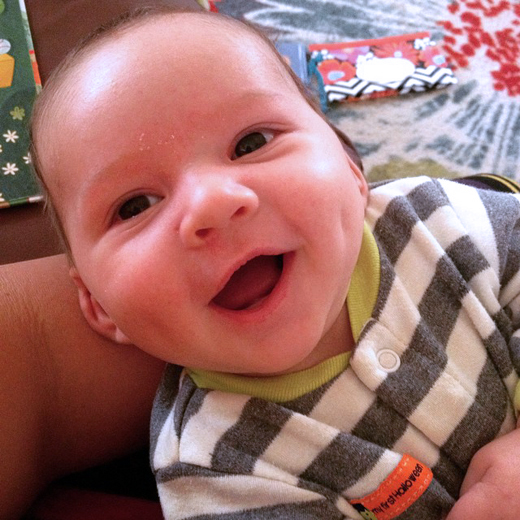 Many babies treat their parents to their first smile when they're between six weeks and eight weeks old. However, your baby may smile before or after this time. Your baby wants to communicate with you and can express his feelings from the moment he's born.